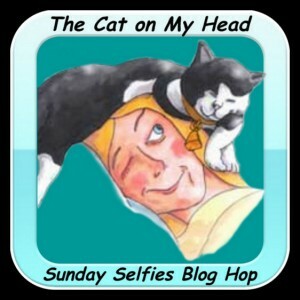 This entry was posted in Blog Hops and tagged Emmy, KaTwo, Sammy, The Cat on My Head Sunday Selfies Blog Hop by pilch92. Bookmark the permalink. Looks like “Cozy Kitty Sunday” there to me! I think I am going to be spending my Sunday like Sammy, Emmy, and KaTwo… all contented and cozy on the couch. Raining here. Sweet selfies… ♥ I am going to do your puzzle and Teddy’s this afternoon while CH has some boring TV thing on… 🙂 Enjoy your Sunday! Ah, i hope to be contentedly snoozing at some point this afternoon. Blessed Sunday to all of you! All of you sure do look like happy cats. Glad to see Ka Two happy too. You all have a great day. Thank you 🙂 We hope you have a great day too. Great selfies gang. Looks like a lovely lazy day! Your snuggly selfies look purrfect! Aww, you all so snuggly and warm! Hugs and peace to you! Today here is a great day for snugglles, contentment and napping. It is cold, damp, and rainy outside. Have a very nice Sunday. Aww looks like efurryone is having such a nice, relaxing weekend! Great selfies! Happy Sunday to you all! Thank you. We hope you had a nice Sunday too. Y’all look so comfy today. Everyone is so comfy! I love how they are so many cozy spots in your home for your kitties. Those are very sweet selfies. I have been on holiday for 2 weeks so haven’t been online. I just saw about KaTwo and want you to know that my thoughts are with you. Very sweet. And I really appreciated your linguistic alliteration. ~grin~ Be well! Napping is what Sunday’s are for! Y’all are too sweet! Thank you. Peace be with you too. Aw…snuggly cats are so adorable! Such content kitties! We hope KaTwo is doing okay. Looks like everyone is taking advantage of that extra hour of sleep! Awww! Sweet cozy and content for sure! Aw, you all look so cute and cozy! KaTwo, I love your Halloween bed. We’re going to be sad when all of our Halloween goodies are put away. Purrs! Thank you. 🙂 I don’t want to put the Halloween stuff away. Now those are adorable selfies. Watching a cat sleep is just one of the bestest things in the whole wide world! Those look like some comfy selfies! Now those are some comfy cozy kitties! !